It took almost a month to get here but I have to say, it’s worth it. I originally saw this mod on Lifehacker and had to jump on it because it looked too damn cool. The back panel was back ordered for weeks but took about a week to send from Hong Kong. The price for this mod? $13.99 plus shipping. There are different colors for the back and different materials as well. Check out CNN (no, not that CNN) to check their selection. Ordering is simple and straightforward. 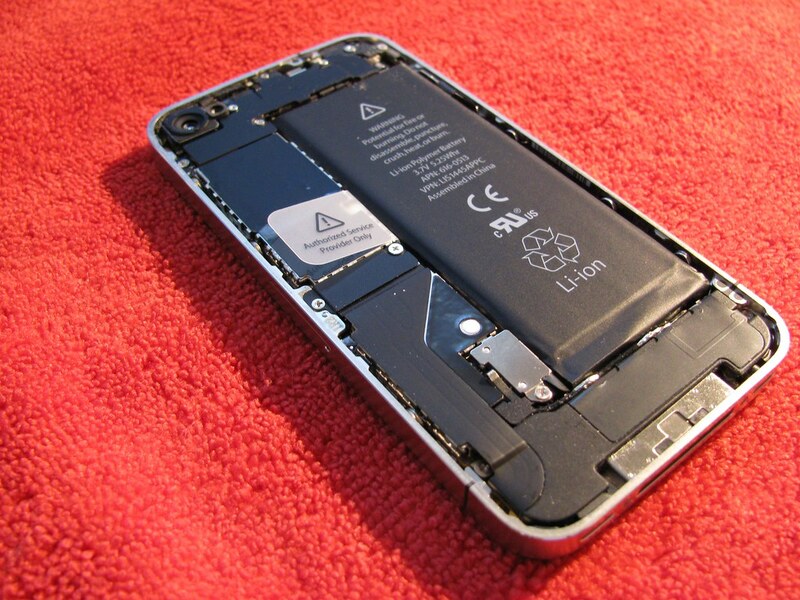 To remove the original panel, all you have to do is power off your phone, flip the vibration switch on, remove the two screws on the bottom of the phone, and slide the panel upward with your thumbs. It’s that simple. Since the screws are microscopic, take care not to strip them. I had trouble finding a Phillips head small enough to fit but I managed to use a flat head driver to remove them. Although the panel is cheap, it definitely feels like it. It’s not actually made of metal, but of plastic that’s textured like metal. I don’t actually mind because I can just order another one if it breaks or becomes super scratched up. I got a few looks at the gdgt event tonight. It’s definitely eye catching to have something so different from every iPhone out there. 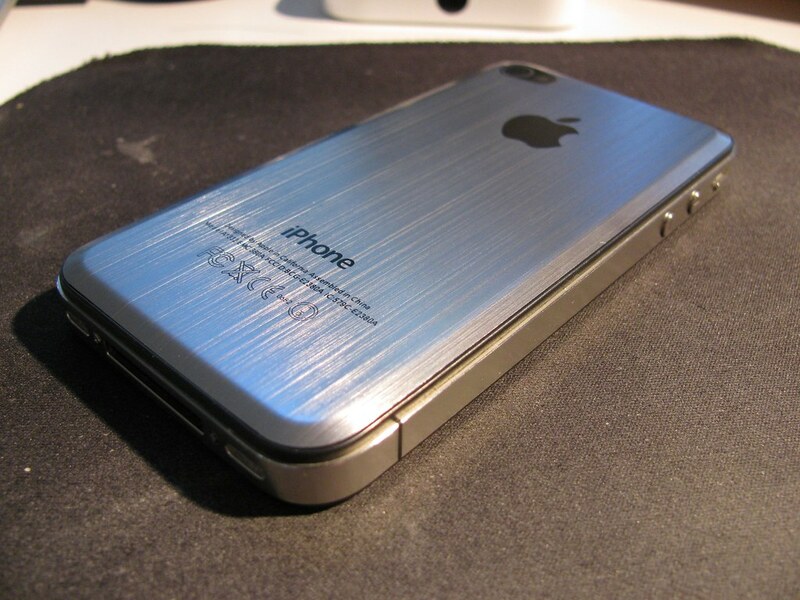 I always loved the design of the iPhone 4 and it was a shame to have it covered up. Although it is still fragile and you wouldn’t want to drop, it’s a bit grippier with the texter of the plastic back panel. I can appreciate the industrial design of the iPhone again. The most surprising thing about this mod? How user friendly it was to work on the iPhone 4. Who would have known?